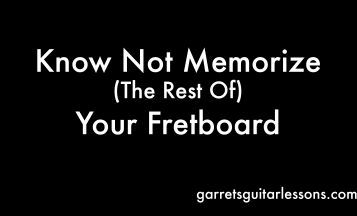 So you’ve been playing guitar for a little while but not sure where to go next? Here are some starting points to get you rolling and get you over the next hump. It’s nearly impossible to accurately assess where you’re at without hearing you, so these are general guidelines. 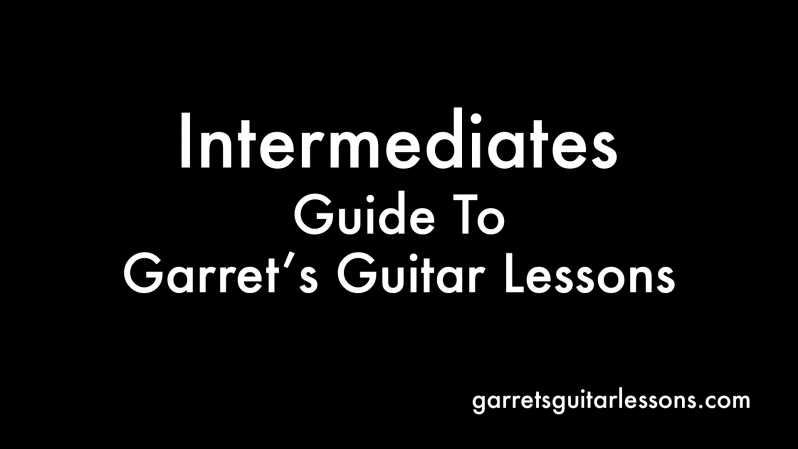 What is intermediate? How do I know if I’m a beginner or advanced? I think everyone has a different definition of what Beginner, Intermediate and Advanced is. I think having a solid foundation of open chords (including sus chords, and 7th chords), barre chords (6th string, 5th string and 7th chords), strumming (rhythms) and transitioning between chords completes your tenure as a beginner. 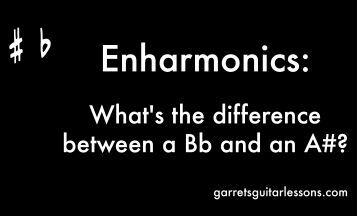 I think “intermediate” guitar playing, the next step, is the most broad. This step involves visualizing chords, arpeggios and scales in different “shapes” all over the neck, utilizing and internalizing these all over the neck in songs, solos and what not, focusing on different genres, understanding basic theory, knowing some more complex chord shapes and focusing on different techniques. Wow… quite a lot, eh? I think what you focus on largely depends on what you’re influenced by and what your goals are. Here are some free lesson videos to help you get there, organized the best way I can without hearing you personally. In each lesson are links to PDF’s that aid the lesson, links to my Play Alongs of chords, arpeggios, scales and Backing Tracks to jam along to! CAGED Shapes will be the topic of a blog all on it’s own. The big thing with these is it’s a way to use our open chord “shapes” (C, A, G, E, D) into movable chord “shapes” to visualize different sections of the fretboard. We use the chord shapes as a template that we plug our arpeggios/scales into. This isn’t the only way to organize and visualize the fretboard, but this is the one I’ve chosen to keep consistent throughout my site and PDF’s. I tag these videos as “CAGED Overview” (or CO) and there are 10 in the series. 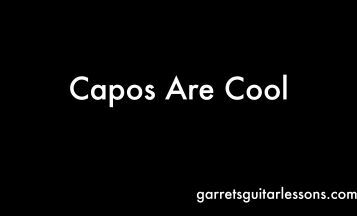 Most hear AC/DC and think the way guitar-ing works is you have a “rhythm” player and a “lead” player so pick one and focus on it. In reality, rhythm guitar and lead guitar work in conjunction with each other. One of the best pieces of advice I have if you want to get better at soloing/lead guitar, work on your rhythm playing. Not just playing your ‘go-to’ chord shapes, but work on different chord shapes, triads, key changes and you’ll notice your soloing getting better. How?! 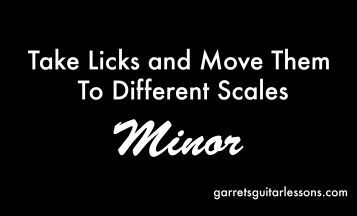 The more you use different chord shapes and tethering arpeggios/scales to them… you’ll find the whole neck starting to open up. 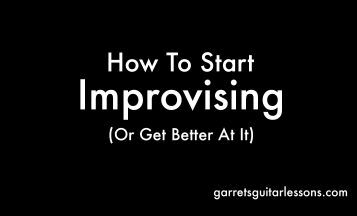 I have some Premium Lessons that thoroughly covers some of the ideas, but here are some good starting places. As I mentioned above, the line between “Rhythm Guitar” and “Lead Guitar” can be pretty blurry. 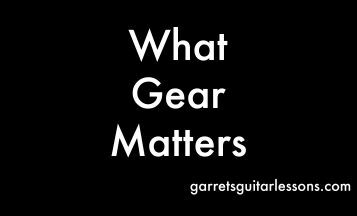 Here are some things that should help push your lead guitar playing to the next step. Either at the beginning of your intermediate journey or at the end, starting to understand where music comes from and why they’re there will really fill in a lot of the gaps. Here are some videos to help clear the chaos. I label the theory videos as “Usable Guitar Theory” (or UGT for short). They’re meant to give you a clear, step-by-step walk through of theory from knowing nothing, to feeling comfortable with it. Everything covered above can certainly help push you above and beyond. Depending on where you’re personally at in your guitar playing and where you want to go these can help get you over the hump your on now or the one you’ll be at soon enough (unfortunately… it is inevitable). Since I’m constantly uploading new free lesson videos, there may be some I upload in the future that will continue to help. I also have Premium Lessons going into detail on using CAGED shapes and Triads (both for rhythm and lead playing).